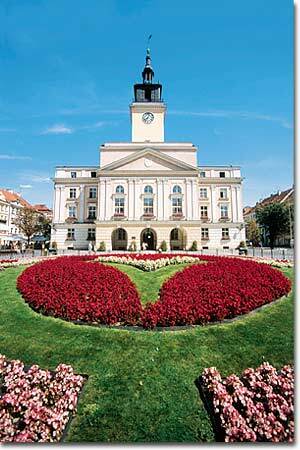 Kalisz [ˈkaliʂ] ( listen) (German: Kalisch) is a city in central Poland with 106,857 inhabitants (June 2010). 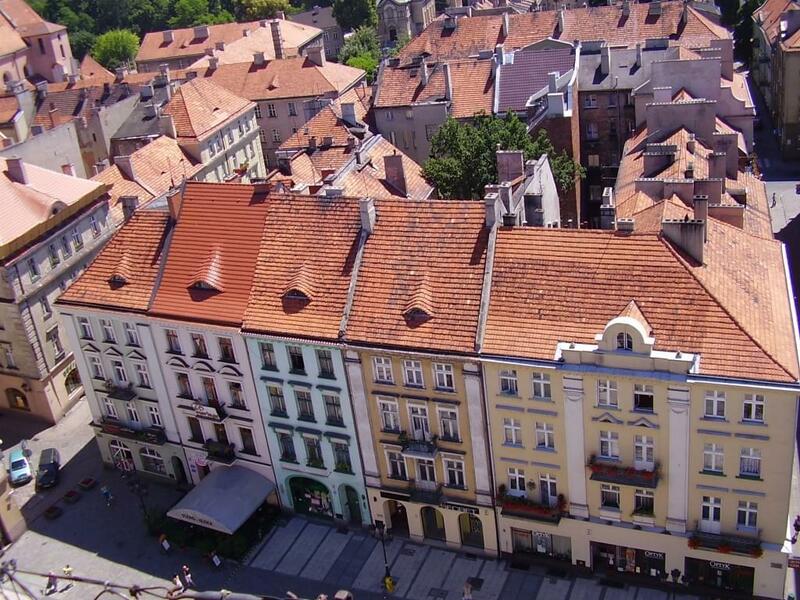 Kalisz has long been considered the oldest city of Poland because it was mentioned by Ptolemy in the 2nd century A.D., but the claim is now doubted by some (cf. Calisia). The location mentioned by Ptolemy was situated in the territory of the Diduni in Magna Germania on the Amber Trail. There are many artefacts of the Roman times in the area, pointing out that it could have been one of the stops of the Roman caravans heading for the Baltic Sea. 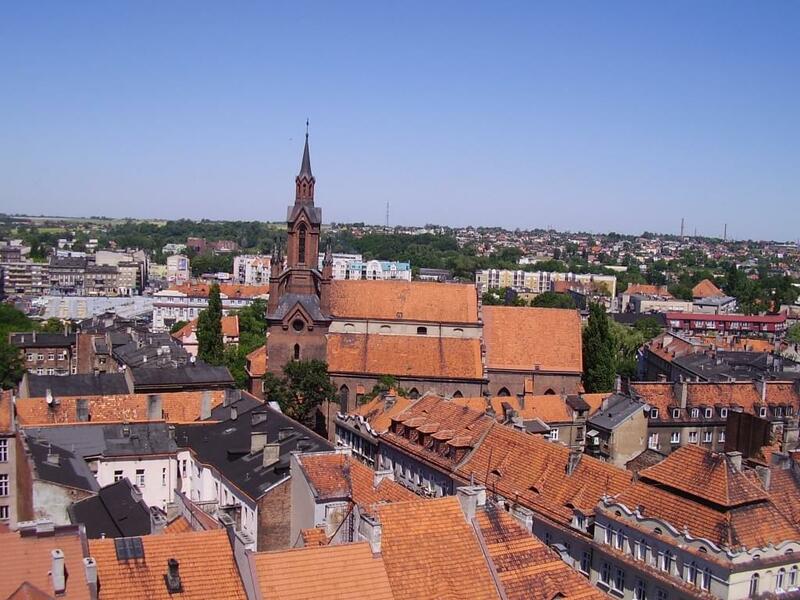 The modern Kalisz was most probably founded in 9th century as a provincial capital castellany and a minor fort. The name itself stems from the Celtic term cal which means stream, or Slavic term kal, meaning swamp or marsh. 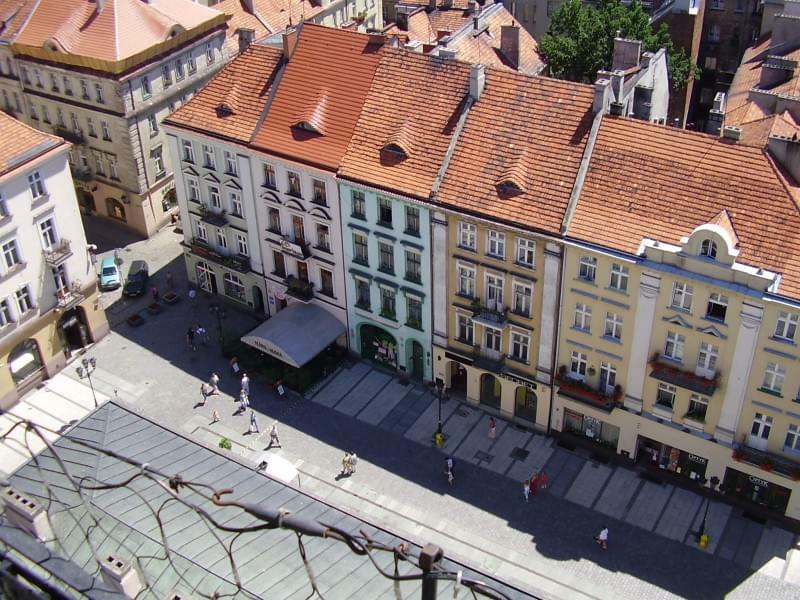 In 1106 Bolesław Krzywousty captured the town and made it a part of his feudal domain. Between 1253 and 1260 the town was incorporated according to the German town law called Środa Śląska Law after Środa Śląska in Silesia, a local variation of the Magdeburg Law, and soon started to grow. 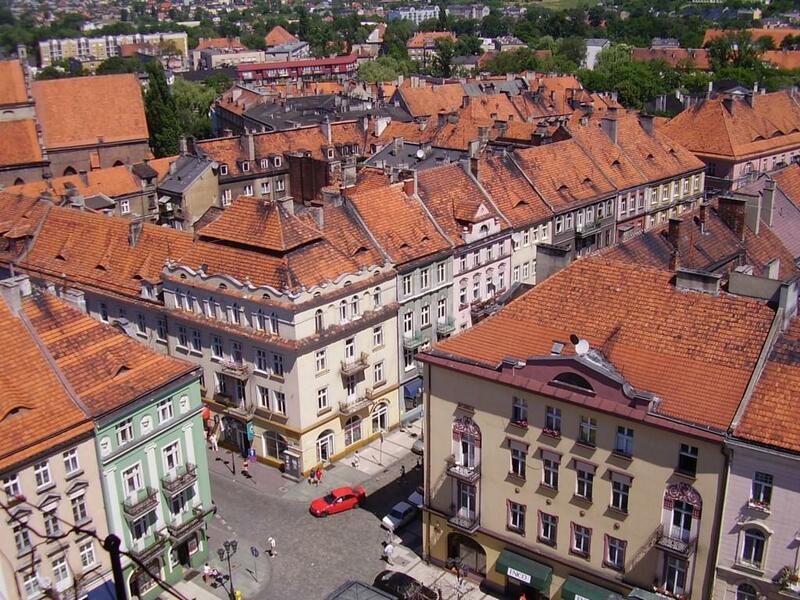 One of the richest towns of Greater Poland, during the feudal fragmentation of Poland it formed a separate duchy ruled by local branch of the Piast dynasty. After Poland was reunited, the town became a notable centre of weaving and wood production, as well as one of the cultural centres of Greater Poland. Also, Jewish settlement of Kalisz dates back to 1139 (see: Khalyzians). 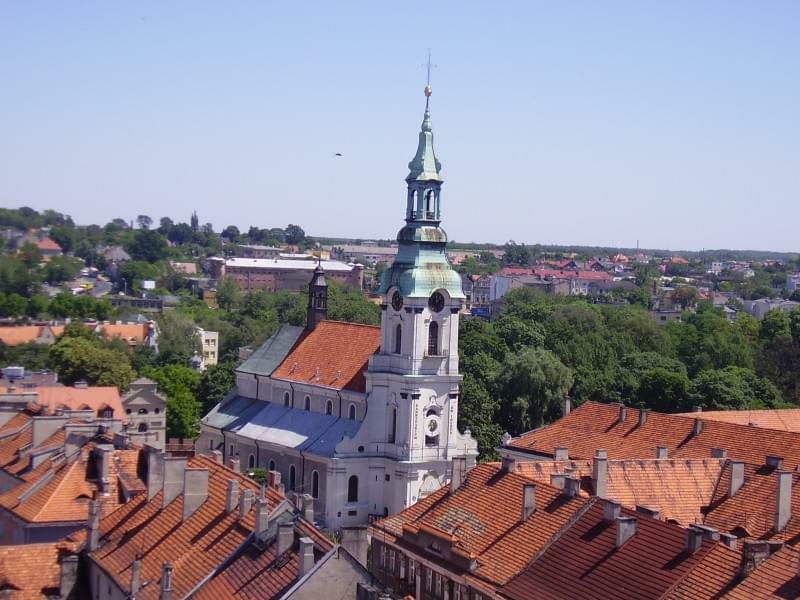 In 1282 the city laws were confirmed by Przemysł II of Poland and in 1314 it was made the capital of the Kalisz Land, one of the provincial capitals Voivodeships of Poland, by king Władysław Łokietek. 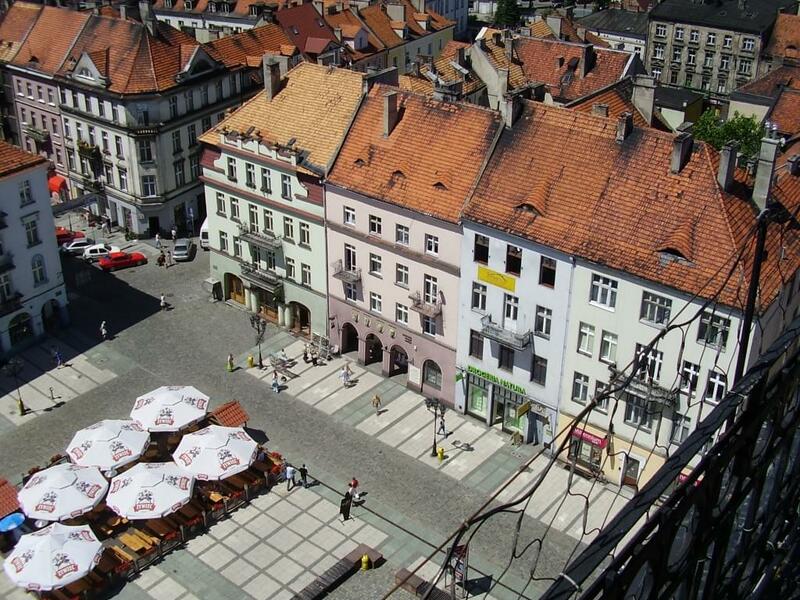 A notable centre of trade, Kalisz was also located more or less in the centre of Poland back then. Because of its strategic location, in 1343 king Casimir III signed there a peace treaty with the Teutonic Order. As a royal town, the city managed to defend much of its initial privileges and in 1426 a new town hall was built. The Polish king Mieszko the Old was buried in Kalisz. In 1574 the Jesuits were brought to Kalisz and in 1584 they opened a Jesuit College there, one of the most notable centres of education in Poland back then. However, with time the importance of Kalisz declined and its place was taken by nearby Poznań. The economic development of the area was aided by a large number of Protestant Czech Brothers, who settled in and around Kalisz after being expelled from Bohemia in 1620. In 1792, fire destroyed much of the city centre. The following year, in the second partition of Poland, the Kingdom of Prussia absorbed the city, called "Kalisch" in German. In 1801, Wojciech Bogusławski set up one of the first permanent theatre troupes in Kalisz. 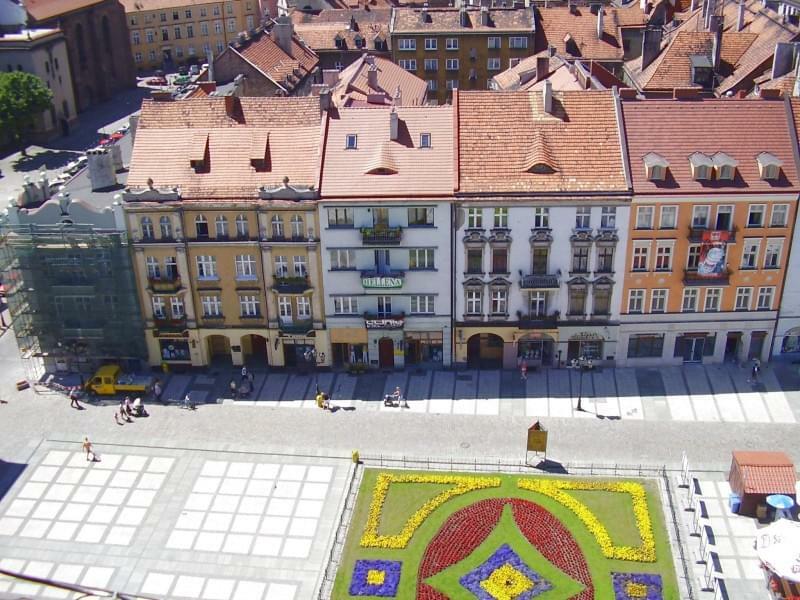 In 1806 Kalisz became a provincial capital within the Duchy of Warsaw. During Napoleon's invasion of Russia, following Yorck's Convention of Tauroggen of 1812, von Stein's Treaty of Kalisz was signed between Russia and Prussia in 1813, confirming that Prussia now was on the side of the Allies. After the defeat of Napoleon Bonaparte, Kalisz became a provincial capital of Congress Poland and then the capital of a province of the Russian Empire. The proximity to the Prussian border accelerated economic development of the city and Kalisz ("Калиш" in the Russian Cyrillic alphabet) started to attract many settlers, not only from other regions of Poland and other provinces of the Russian empire but also from German states. In 1902, a new railway linked Kalisz to Warsaw and Łódź. 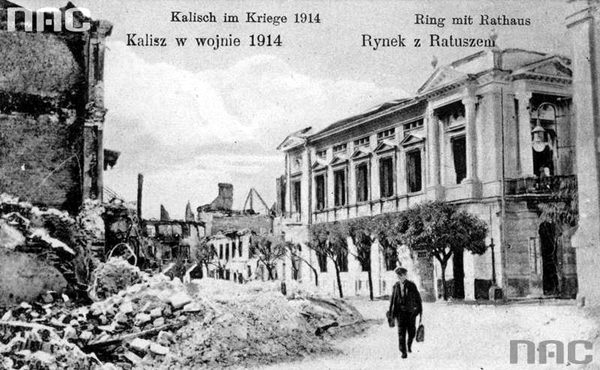 After the outbreak of World War I, the proximity of the border proved disastrous for Kalisz, as it was one of the first cities destroyed in 1914. The German artillery shelled Kalisz. Between August 7 and August 22, 1914, Kalisz was destroyed almost completely after the entry of the German units led by Hermann Preusker. 800 men were arrested and then several of them slaughtered, while the city was set on fire and the remaining inhabitants were expelled. Out of roughly 68,000 citizens in 1914, only 5,000 remained in Kalisz a year later. However, by the end of the Great War much of the city centre was more or less rebuilt and many of the former inhabitants were allowed to return. After the war Kalisz became part of the newly-independent Poland. The reconstruction continued and in 1925 a new city hall was opened. 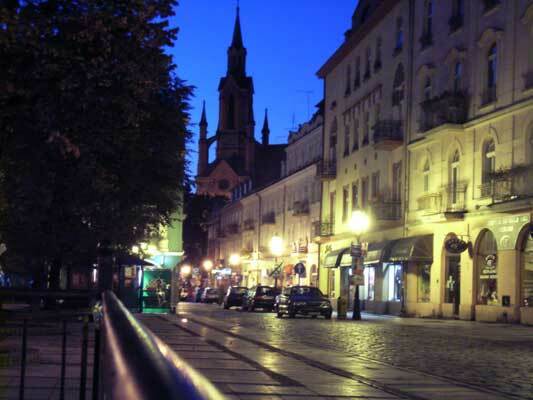 In 1939 the population of Kalisz was approximately 89,000. After the German invasion of Poland in 1939, the proximity of the border proved once again disastrous. Kalisz was captured by the Wehrmacht almost instantly and without much fighting, and the city was annexed by Nazi Germany. By the end of World War II approximately 30,000 local Jews had been murdered. An additional 20,000 local Catholics were either murdered or expelled to the German-occupied territories (General Government) or to Germany as slave workers. In 1945 the population of the city was only 43,000, approximately half of the pre-war population. In 1975, after Edward Gierek's reform of the administrative division of Poland, Kalisz again became the capital of a province - Kalisz Voivodeship. The Kalisz province was abolished in 1998 and since then Kalisz has been a county seat separate powiat within the Greater Poland Voivodeship. In 1991 the city festival was inaugurated on June 11 to commemorate the confirmation of the incorporation of the city in 1282. In 1992, Kalisz became a seat of a separate diocese of the Catholic Church. With the outbreak of World War I, the proximity of the border proved disastrous for Kalisz; it was one of the first cities destroyed in 1914. Between August 2 and August 22 Kalisz was shelled and then burned to the ground by German forces under Major Hermann Preusker, even though Russian troops had retreated from the city without defending it and German troops – many of them ethnic Poles – had initially been welcomed peaceably. Eight hundred men were arrested and then several of them slaughtered, while the city was set on fire and the remaining inhabitants were expelled. Out of roughly 68,000 citizens in 1914, only 5,000 remained in Kalisz a year later. By the end of the Great War, however, much of the city centre had been more or less rebuilt and many of the former inhabitants had been allowed to return. After the war Kalisz became part of the newly independent Poland. The reconstruction continued and in 1925 a new city hall was opened. In 1939 the population of Kalisz was approximately 89,000. After the German invasion of Poland in 1939, the proximity of the border once again proved disastrous. Kalisz was captured by the Wehrmacht almost instantly and without much fighting, and the city was annexed by Nazi Germany. By the end of World War II approximately 30,000 local Jews had been murdered. An additional 20,000 local Catholics were either murdered or expelled to the German-occupied territories (General Government) or to Germany as slave workers. In 1945 the population of the city was 43,000 – approximately half the pre-war figure. It is resiliency which derives from the lack of a better choice. They had to rebuilt their town to continue the life the had led before the destruction. I guess I admire the cases where they rebuilt the buildings in the manner of their beautiful original architecture, rather than replacing them with things like the Communist block structures that you often ruefully show us in photos!